Branch brings to these events both a passion for their detail and a recognition of their larger historical significance. Branch’s scholarship is strong, his storytelling colorful… Reading Branch, it is easier to see why even the most remarkable revolutions are never complete. Branch has an uncanny ability to penetrate the most obscure nooks and crannies of the past to provide a whole new perspective. The strength of Pillar of Fire lies in Branch’s unsurpassed ability to bring the reader into the moment, enabling one to almost feel the tension of the times. 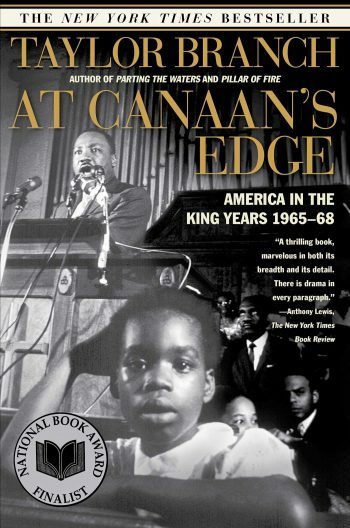 Of all the books on all the “best” lists, At Canaan’s Edge is the one sure to be important 100 years from now. Branch’s remarkable talent for amassing details and incorporating them into a swiftly paced narrative makes these books seem fresh, startling, and compelling. 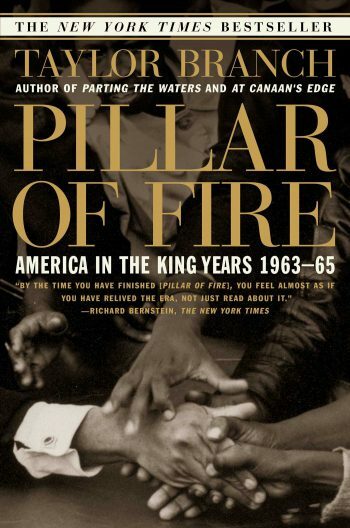 By the time you have finished [Pillar of Fire], you feel almost as if you have relieved the era, not just read about it. In remarkable, meticulous detail, Branch provides us with the most complex and unsentimental version of King and his times yet produced. From MLK and Obama to Trump: The End of What? 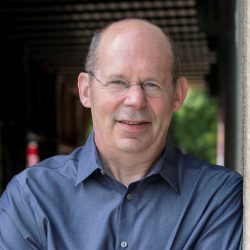 Over the course of his storied career, author and historian Taylor Branch has won the Pulitzer Prize, the National Book Critics Circle Award, the Dayton Literary Peace Prize Lifetime Achievement Award, and a National Humanities Medal. 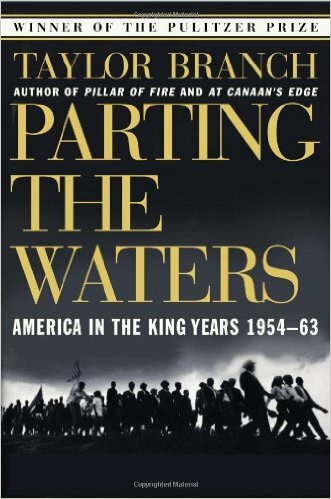 The trilogy’s first book, Parting the Waters: America in the King Years, 1954-63, was hailed in Time as a “major accomplishment in biography as social history” and as “a paradigm of the new American history at its best” by Newsweek’s Jim Miller. 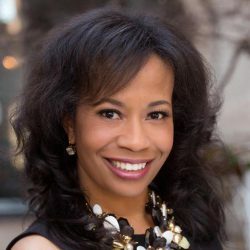 It was honored with a Pulitzer Prize, the National Book Critics Circle Award, and a Christopher Award. President Obama included Parting the Waters on his list of 10 books he recommends for future leaders. 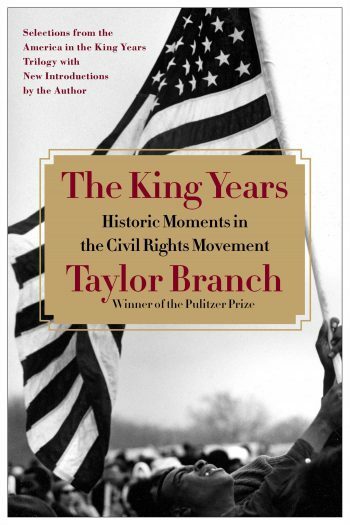 Branch’s drew on this essential history to write The King Years: Historic Moments in the Civil Rights Movement, which presents eighteen key episodes across the full span of the era, selected and linked by language from the trilogy, with new introductions for each of the chapters. The result is a compact, 190-page primer for readers interested in this transformative period in American history. “You come away from this trim digest inspired and enlightened,” wrote Gene Seymour in American History. Branch also offers an online seminar from the University of Baltimore built around The King Years and other texts. 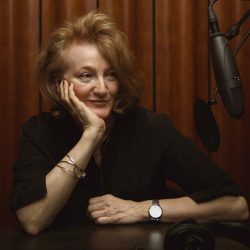 Branch is an executive producer of the “thought-provoking, richly detailed” (San Francisco Chronicle) HBO documentary King in the Wilderness. Along with archival footage, the film includes interviews with Joan Baez, Harry Belafonte, Jesse Jackson, John Lewis and more in “a searing portrait” of the last 18 months of Dr. King’s life, capturing him in “a purgatory of anxiety and conflict” (Variety) as he fought “to redeem the soul of America from the triple evils of racism, war and poverty,” in the words of Andrew Young. King in the Wilderness was hailed as “a call to action and a radical embrace of the values of nonviolence that Dr. King preached throughout his short, purposeful life” (RogerEbert.com). In the October 2011 issue of The Atlantic, Branch published an influential cover story entitled “The Shame of College Sports,” making a strong case for the payment of college athletes. Author and NPR commentator Frank Deford said it “may well be the most important article ever written about college sports.” The article touched off a continuing national debate on the treatment of college athletes and the sometimes-messy relationship between sports and scholasticism. 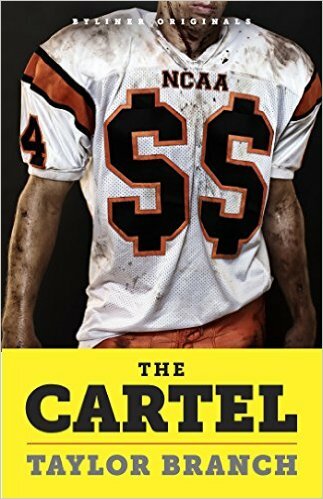 An expanded version of the article was published as a digital book and on-demand paperback: The Cartel: Inside the Rise and Imminent Fall of the NCAA. 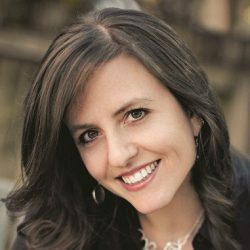 Taylor Branch addresses audiences at colleges, high schools, churches, synagogues, mosques, and political and professional groups. He has discussed doctrines of nonviolence with prisoners at San Quentin as well as officers at the National War College. 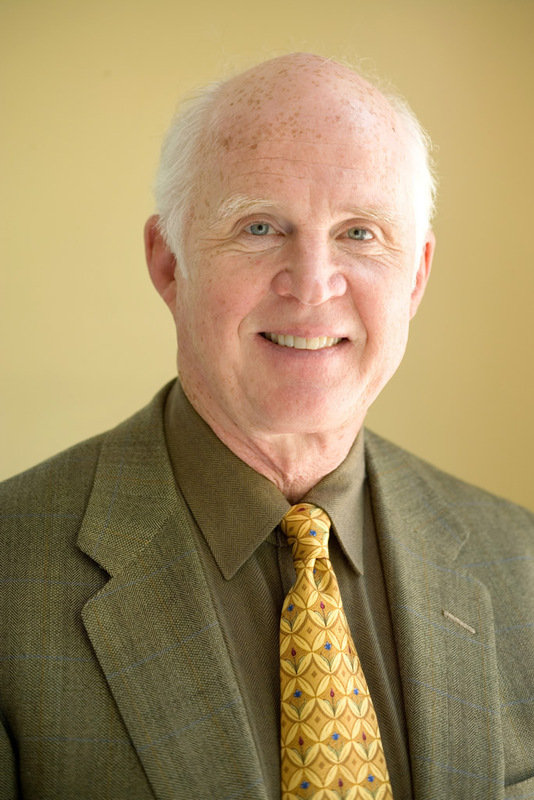 He has presented seminars on civil rights in sixth-grade classrooms and at Oxford University. His 2008 address at the National Cathedral marked the 40th anniversary of Dr. King’s last Sunday sermon from that pulpit. In 2009, he delivered the Theodore H. White Lecture on the Press and Politics at Harvard. Branch began his career in 1970 as a staff journalist for The Washington Monthly, Harper’s, and Esquire. 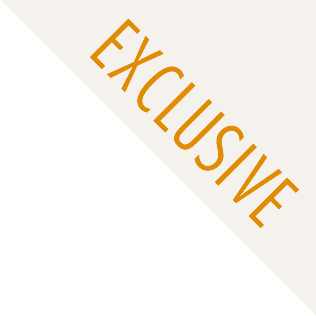 He holds honorary doctoral degrees from over a dozen colleges and universities. Currently, he is at work on a new book about race in America. For more information on Taylor Branch, please visit taylorbranch.com. May well be the most important article ever written about college sports. I have seldom read a more compelling account of a leader in power. This is so far the best look at [the Sixties]. 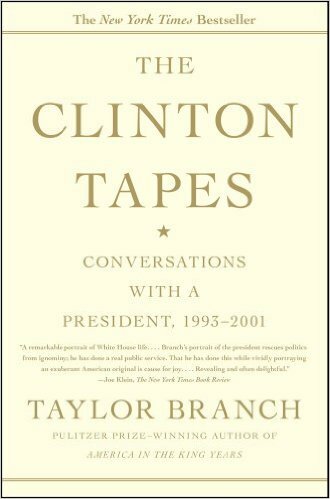 It is an essential tool for understanding what happened to and in America across that dizzying span of years. A masterpiece … remarkably revealing…. The past, miraculously, seems to spring back to life.